Specially designed Feeders for extracting highly corrosive powdered granular and lumpy material from Silos/ hoppers at required capacities. 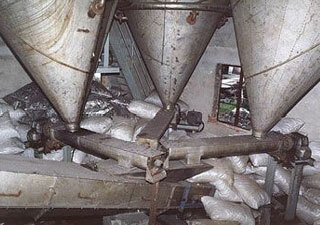 Therefore, they are used effectively as feeders in the processing industry. Belt Feeders, Screw Feeders, Apron Feeders, Reciprocating Feeders, Rotary Star Feeders, Vibrating Feeders etc. Slide Gate, Rack Pinion Gate, Sector Gate, both motorised & manual.